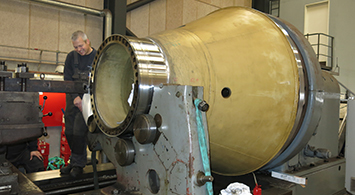 MarineShaft has developed considerable expertise in the reconditioning of thrusters. Machining of components due to damage and planned overhauls. We also manufacture new components, as time of delivery for spare parts is often very long. 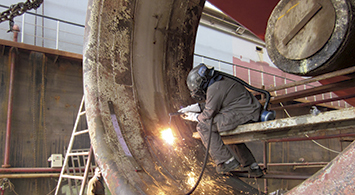 Our Service Department performs disassembly, measurement and control and assebly of thrusters. All our work is fully approved by the classifikation sociaties. Experience and short decision paths enable us to make the right decisions fast.